Will you be Pooh's Valentine? Pooh and Piglet sit close beside each other as they trace and snip a handmade garland of hearts. 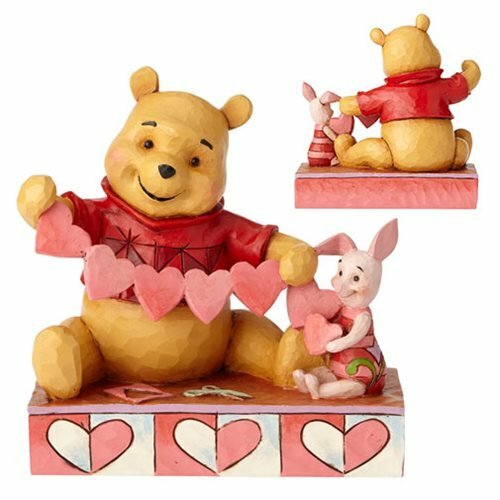 Folk art-inspired details add to the artisanal charm of this hand-painted Disney Traditions Winnie the Pooh and Piglet Heart Handmade Valentines Statue, which sculpted from high-quality stone resin. It measures about 5 1/2-inches tall x 5 1/4-inches wide x 2-inches long. Ages 14 and up.